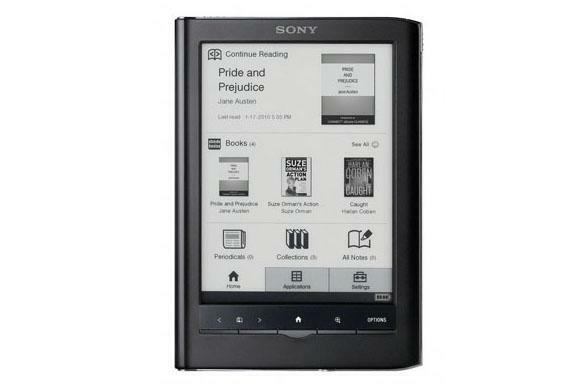 After some time hinting it would do so, Japanese electronics giant Sony has finally committed to bringing several of its eReader line-up to Australia, partnering with giant retail chain Borders to do so. Sony's 5″ Pocket Edition Reader and its 6″ Touch Edition will both come to Australia in "early September", the company announced today. Both devices feature 16 level grayscale e-ink screen and 2GB of internal memory, are Mac and PC compatible and support a number of file formats. The Pocket Edition will go for a recommended retail price of $229, while the larger Touch Edition - which has additional features, such as an audio player and the ability to take a SD/MS card for additional storage - will cost $299. Sony's Australian chief Carl Rose claimed digital reading had hit a tipping point globally. "The digital reading revolution has come to Australia and will change the landscape of our local reading industry,” he said. “We’re anticipating strong consumer demand for eBooks and look forward to launching our Reader devices, which are lightweight, portable and provide a comfortable reflective display for the most natural reading experience." The statement said that Sony’s devices have been set up to provide "simple navigation" to the online bookstores of REDGroup Retail, which owns the Borders and Angus & Robertson brands locally. The news comes as there has been an influx of eReaders into the Australian market over the past year. Local retailer Kogan Technologies launched its own device over the past several months, coming after REDGroup Retail brought the Kobo eReader into Australia to widespread interest. Amazon also ships the Kindle locally, and smaller players like Laser also have a presence. A key problem for local retailers remains getting better availability of eBooks for the devices. REDGroup Retail has vowed to push hard to break through the tricky licensing agreements required to make the content available in digital formats.